I-275 is a vital link in the local and regional transportation network and serves as a critical evacuation route in Pinellas County. As a major north-south corridor, I-275 links the Tampa Bay region with the remainder of Florida and the nation, supporting commerce, trade, and tourism. Currently, there are no continuous travel lanes on I-275 in the southbound direction and only one continuous travel lane in the northbound direction. This is caused by a series of existing left-hand entrance and exit ramps. The corridor does include two travel lanes with one auxiliary lane in each direction from south of 54th Avenue South to I-375. From I-375 to north of 4th Street North, there are three travel lanes with one auxiliary lane in each direction. Improvements are needed to help improve existing traffic congestion, enhance safety, and better accommodate future travel demands associated with projected population and employment growth.  The addition of express lanes is included in the Forward Pinellas (Pinellas County Metropolitan Planning Organization) 2040 Long Range Transportation Plan (LRTP). Proposed project improvements include widening the interstate to accommodate the addition of two buffer separated express lanes in each direction from north of I-375 to north of 4th Street North and lane continuity from south of 54th Street South to north of Gandy Boulevard to provide continuous travel lanes for commuters. One express lane in each direction is currently being constructed by the Gateway Expressway project from north of Gandy Boulevard to north of 4th Street North. 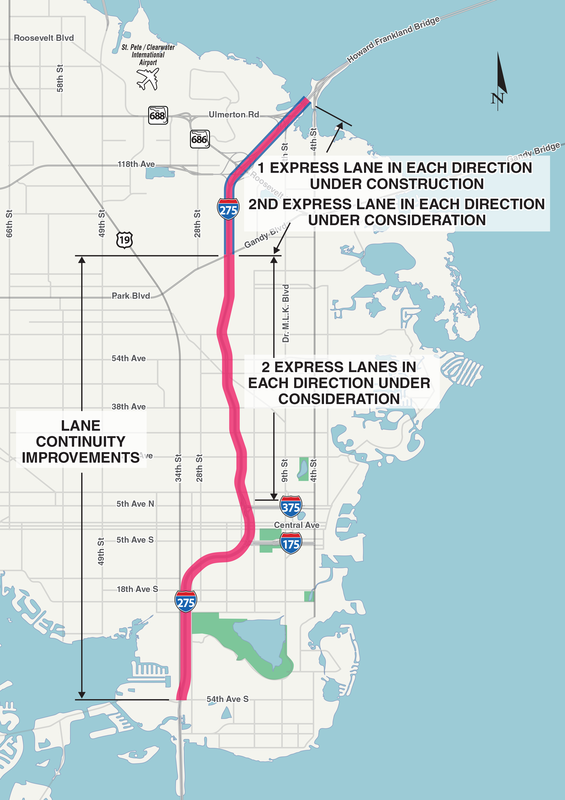 Improvements and express lanes will tie into express lanes being constructed as part of the Gateway Expressway and Howard Frankland Bridge projects. Paving will occur in the grass median and approximately 14 feet of outside widening will occur. Improvements will be made within the existing FDOT owned right of way. The only right of way required will be for storm water ponds. This project is still under study and pond locations are still being evaluated. To view the latest project fact sheet, click here. To view more information and documents on the project, please click here. To view material shared at community events, please click here. PD&E Limits: I-275 (SR 93) from south of 54th Avenue South to north of 4th Street North, Pinellas County, Florida.